Millennium 7 Publishing Co.: How To Up YOUR Social Media Game? How To Up YOUR Social Media Game? 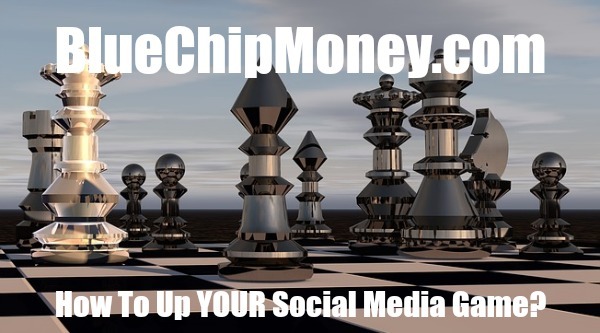 3 ways to up your social media game..
Social media is a big part of our lives. According to Statista, people worldwide spend about two and a half hours a day on Twitter, Facebook, Instagram and other platforms. Social media gives us an easy way to connect with the world around us. It shows us what our friends are up to, what events are nearby, breaking news and even the president's latest action. Social Media media also allows us to share our story with our followers. Whether it's posting a picture of your favorite coffee shop on Instagram or tweeting reactions to the big game, social media is a tool that allows us to touch the world around us. It is also a way for companies to advertise products to customers and for advocacy organizations to share priorities and interests with members and policy makers. Involvement may be personal or for business reasons, but with the right strategy and dedication social media can help us have a major influence. Farmers and ranchers are very active on social media and their presence is constantly growing. A Successful Farming survey found that farmers are most active on YouTube and Facebook. Additionally, 42 percent of farmers who are on Facebook and Twitter are active daily. Whether you're a seasoned social media veteran or very new to the game, here are three tips to take you or your business' influence on social media to the next level. Related Article: The Social Media Food Translator? Oscar Wilde said it best -- "Be yourself; everyone else is already taken." This quote applies to many aspects of life, and social media is no exception. Your social media pages should highlight what makes you or your business unique. When drafting posts, it is important to remember what makes you and the story you are telling different from similar people or organizations. Also, figure out what your message is and stay true to it. Show your followers what you do and what you are trying to accomplish. Share real photos of your farm or ranch and explain what it takes to operate your business. Accurately discuss things about your business that you find interesting and your passion will shine through. Related Article: YOUR Image Building Social Media Skills? While user intentions may vary and user demographics change over time, social media's primary purpose is a social network that connects people via emotion. I'd bet that at least once a day you get on Facebook to check out what your closest friends are doing. Depending on the time of year or the specific day, social media feeds are full of emotion. Marriage and pregnancy announcements and news of job advancements and business expansions all tug at our emotions and keep us wanting to be part of the conversation. To increase engagement and ultimately your influence, don't be afraid to craft posts in a way that taps into people's emotions. When explaining an agricultural issue that affects your farm, ask others how that issue affects them, too. Further, share related memes or cute pictures of your pet and you'll be surprised at the popularity of those posts. To be influential on social media it is essential to regularly measure the progress of your involvement. Social media metrics help illustrate the extent of your activity and what it means. Two important metrics to use when measuring social media activity are reach and engagement. Social media reach measures the span of social media conversations or how many people could see a specific post or tweet. Social media engagement measures participation in social media conversations or how many people interact with a specific post or tweet. It is always useful to measure the overall progress of social media activity with monthly and yearly comparisons. Guest Authored By Shiloh Perry. Shiloh is a media relations specialist at the American Farm Bureau Federation. Follow Shiloh on Twitter. "Social media isn't going anywhere anytime soon.